English Premier League giants Arsenal FC has said it is "saddened" by the news of Carilton David Maina's death. Maina, a student at Leeds University, was shot dead by the police who claim he was among a group of gangsters that had been terrorising residents of Line Saba. 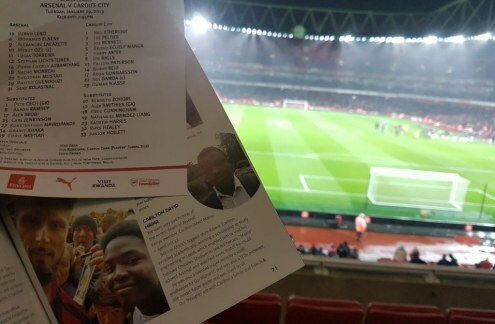 Arsenal FC official match day programme for their tie against Cardiff City. 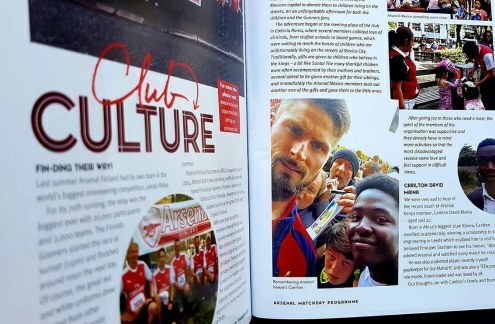 A closer look at Arsenal FC's official match day programme for their tie against Cardiff City. 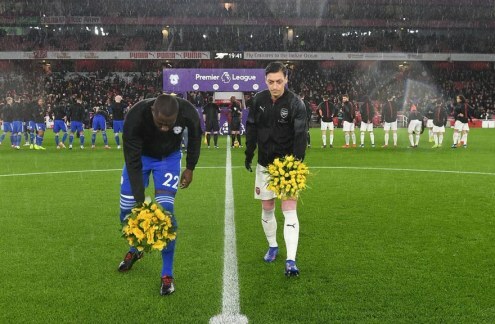 Cardiff City new Signee Emiliano Sala was also honoured before the match that was supposed to be his debut to the premier league.